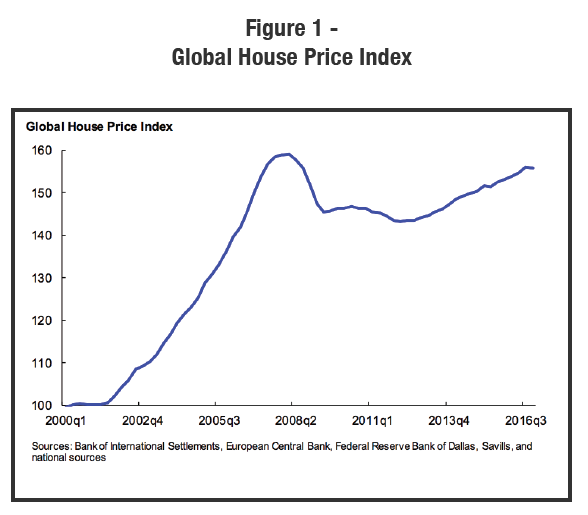 The IMF Global House Price Index is nearly back to its prior peak (see Figure 1). We have previously addressed the question of whether conditions at present are sufficiently similar to those in place during the bubble period of 2005-2008 and answered with a some-what tentative “no” (see Global House Prices: Time to Worry Again?). The somewhat sanguine view is partly explained by a lack of synchronicity at present that distinguishes the current state from that experienced a decade ago (see Figure 2). 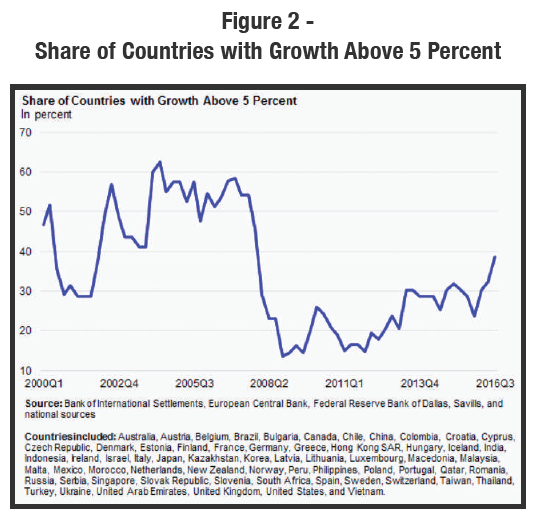 The answer is tentative, because over the last four years the number of countries experiencing rapid growth has approximately doubled, while remaining significantly below the prior peak.